No matter what year it is, Russia’s World Junior team always seems to be a big mystery. The players themselves aren’t really, thanks to the KHL and CHL Super Series exposing the world to what the country has to offer. But when they all mix together, that’s when it gets a bit muddy. Some years, everything clicks. The offense is firing on all cylinders, the goaltending is stealing the show and contests are fun, exciting battles each night. Other times, the team has too many personalities trying to prove their the best, and the team suffers as a result. After losing the Summit Series in Canada in November, there were questions about which Russian team we’d be treated to in Buffalo this year. The verdict? All signs point to another medal contender, but their path may be troubled along the way. Goaltending: Filling Ilya Samsonov’s crease this year is about to get a little tougher than expected. After the CHL-Russia Summit Series concluded, all signs pointed to undrafted prospect Vladislav Sukhachev getting the nod. Currently in his first year as a VHL starting goalie, Sukhachev has had a good season with Chelmet Chelyabinsk and played decently for Russia in the CHL series. He’s been good at every level he’s participated in Russia, which includes a gold medal at the 2014 U17’s, a silver at the 2015 World Junior A Challenge, and bronze medals at the Ivan Hlinka in 2016 and last year’s World Juniors. Winnipeg Jets seventh rounder Mikhail Berdin should also get a couple of starts, with the Sioux Falls Stampede putting up strong numbers, but at this point, it’s Sukhachev’s net to lose. Defensemen: Oh boy. Yes, Russia always seems to stink when it comes to their defense, but good thing they have Mikhail Serga… oh, yeah, right. Trust me, that’s not changing this year. Leading the way of Russia’s effort is New Jersey Devils draft pick Egor Zaitsev, a 19-year-old playing in his first international tournament for Russia since the 2014 Under-17’s. Zaitsev has become a full-time KHLer with Dynamo Moskva this season and plays a physical game despite his smaller stature. Two-way defender Artyom Minulin will be joining him as a minute-cruncher for the Russians, with the Swift Current Broncos defenseman off to a great season in his third WHL campaign. He overcame an upper body injury in mid-November to get right back on track and should be a good asset for the Russians. So what’s next? Guelph Storm defenseman Dimitri Samorukov brings speed to a defense core that simply doesn’t have it. Drafted by the Edmonton Oilers this past June, Samorukov had back-to-back tremendous Under-18 tournaments and was Russia’s best defense in both Super Series games he played in. Red Deer Rebels defender and upcoming NHL Draft prospect Alexander Alexeyev won’t be counted to bring the offense, but with a big frame and a good shot, he can get the puck where it needs to be. Scouts seem to have mixed views of Alexeyev, with some people expecting him to be a mid-first rounder, while others think he could fall near to near the end of the second. With Russia weak on the blue line, this is his time to show scouts he’s worth a shot. Another big boy, Artyom Minulin, had an average Super Series tournament back in November and hasn’t looked overly spectacular in previous tournaments with Russia. Still, the undrafted prospect appeared to be a mid-round draft option last year but will give the draft a second chance this year. Minulin is a creative playmaker who’s good at a lot of things, but not spectacular at anything. Forwards: Russia’s offense is always the center of attention in international play and that’s no different this year. The team will be counting on German Rubtsov to lead the charge, and with his international record looking pretty spiffy, that’s a reasonable expectation. The Philadelphia Flyers prospect didn’t record a point in a limited role at last year’s World Juniors, but the centerman has shown lots of poise and skill ever since. Currently with the QMJHL’s Acadie-Bathurst Titan, the playmaking forward will rack up a few assists this year, likely setting up star prospect Andrei Svechnikov. Svechnikov, of course, is expected to be one of the top picks in the upcoming draft and a good tournament could push him closer to the number one spot. Last season alone, Svechnikov had the most points at the World Under-17 Challenge, won a bronze at the U17 and U18 level and was named the World Junior A Challenge’s MVP after one of the most memorable tournament performances to date. The reigning USHL rookie of the year has made a great transition to the OHL’s Barrie Colts, recently coming off of an injury to score a hat-trick before joining the Russians for their training camp. If you get him in the right spot, he’ll get your team many, many goals, and that’s something the Russians can look forward too, even if this may be his only year at the tournament. Russia doesn’t have a lot of NHL draft picks on the roster, but the few they have are rather decent. Chicago will specifically be keeping an eye on Andrei Altybarmakyan and Artur Kayumov. Altybarmakyan is the most recent draft pick, getting called 70th overall earlier in June, and with six points in nine previous games with the U20 team this year, he’s off to a good season. Altybarmakyan has been up and down in the Russian hockey system this year, earning 13 games with SKA St. Petersburg, mostly in a limited role. One of Russia’s best players at the recent Super Series, Altybarkmakyan has never represented the Russians in a proper international event but he has the potential to become a top six winger for the country in Buffalo. Kayumov getting the chance to represent Russia at the World Juniors is a long time coming. The 19-year-old has always been one of the best players in his age group wherever he’s played, earning him a second round spot at the 2016 draft. Kayumov was spectacular in both tournaments he represented the Russians at, the 2015 Hlinka Memorial and the World Junior A Challenge a few months later and will be expected to put up a few points as the team looks to make the finals. Currently in the AHL with the San Antonio Rampage, Klim Kostin annoys every defenseman he comes across and makes plays out of small openings. Sure, it may not seem like that with his two total points in three leagues last year, but Kostin is a player you can throw in any offensive position and make an impact. He’s a good skater for a tall guy and beats guys one-on-one with quick dekes on a daily basis. The 2016 Hlinka Memorial team captain plays at a different level when he wears his nation’s colours and his leadership and skill is a big asset to the team. A Minnesota Wild seventh rounder with AHL experience already, Sudbury Wolves forward Dmitri Sokolov is hoping his solid Super Series performance against Team OHL will translate into some opportunities for some elevated roles with the junior team. He was tremendous with the U17 team a few years back and the former OHL rookie goal-scoring leader was one of Russia’s best players at the 2015 Under-18’s, so he’ll want to make his mark as a speedy forward on the talented Russian offense. New Jersey Devils prospect Mikhail Maltsev has played in the KHL, VHL and MHL this season, putting up points in all three leagues. Getting the chance to play against men has made Maltsev a better player, and this after a great 2015 World Junior A Challenge performance where he was Russia’s most electric forward. If he gets the chance to play with SKA St. Petersburg next year, he’ll be filled with KHL all-stars that will help elevate his game to the next level. This year, the Maltsev could realistically fight for the second centerman spot on Russia, which would be huge for his development. Projection: Projecting Russia to be one of the top teams at the World Juniors seems lazy, but it could very well come true this season. Russia always finds a way to make noise during an international event and with some great young talent with the potential to return a year from now, there’s a lot of positives to the Russians this season. They may not be the best team, but expecting them to finish in the medal round is quite reasonable. One of the biggest success stories when it comes to hockey growth happens to be with Switzerland, a country that went from having zero NHLers in the league in the 90’s to hitting their peak of 1.7% of NHLers coming from the country for the 2017-2018 season. Thanks to the likes of Roman Josi, Nino Niederreiter and Nico Hischier, the country has had reasons to cheer at the World Juniors over the past ten years. They’ve had some surprising performances, including their fourth-place finish in 2010, a year after just earning promotion. This year, the team will need a bit of luck. It’s still expected that they’ll be able to make the quarterfinals, but after that, especially with the expected resurgence of the Czech Republic, Switzerland’s tournament could end up being rather lackluster this year unless somebody can fill the void of the missing Hischier. Goaltending: Switzerland still holds the honor of having one of the most memorable goalie performances of all time at the World Juniors, and that’s Benjamin Conz’s 2010 tournament. Since then, however, the team has struggled to find much stability between the pipes, and despite a few positives over the past few years, it’s typically not their strongest position. Returning to the team this year is Matteo Ritz, who didn’t actually see any action in the Swiss’ run to the quarterfinals. If you check out his stats online, you’ll notice he has a 48.65 GAA in one NLA game with Lausanne, so you may be thinking ‘uh oh’. Of course, that stat is skewed due to only playing a few minutes, but the 19-year-old is poised to become a full-time NLAer in a few years and this is his best chance to prove himself. As a whole, he hasn’t been facing great competition down in the Swiss minor league ranks but he did look really good with the Swiss in U20 exhibition games last year. Another fellow returnee, Philip Wüthrich, doesn’t cover a lot of net, but he has put up great numbers with SC Bern’s junior team. Wüthrich was the best goalie at the International Chablais Hockey tournament back in November, and while they did play a couple of Division IA teams, he held his ground when it matters most. An early edge could go to Wüthrich at this point, but it’s expected that they’ll share the goalie duties. Defensemen: The blue line is typically Switzerland’s strongest position, no matter what tournament they’re in. They’ll have to find a way to replace Jonas Siegenthaler, but likely in the form of a couple of players instead of one great one. Dominik Egli could be one of the answers for the team. Egil outplayed many of his older companions on the roster at last year’s team, and while he doesn’t have much size to work with, he’s got the pure skill. He’s played well with a weak EHC Kloten team and is noticeable in most games, usually for a positive reason. Washington Capitals prospect Tobias Geisser, however, will likely earn most of the ice time. The Swiss gave him a lot of chances in exhibition contests back in 2016-2017 before cutting him prior to the 2016 World Juniors, but he was valuable to the team’s effort a year ago as they tried to shut down the Americans in the quarterfinals. He was a Swiss star at the 2016 Under-18’s despite being underage, but after a good sophomore season with EV Zug, he’s made an effort with his quick speed to become a useful asset for the team. Oshawa Generals d-man Nico Gross will be entering his second World Junior tournament, a big feat considering he doesn’t even turn 18 until January. Gross hasn’t been great on Oshawa’s second defense pairing but he’s improved as the season went on after fighting mononucleosis at the start of the campaign. This could be his opportunity to get his season going smoothly. Another defender worth keeping an eye on is Simon Le Coultre, a member of the QMJHL’s Moncton Wildcats. Le Coultre has played for a poor Moncton Wildcats team over the past two years and has had to do a lot to help his team be competitive, but that’s always a good test for a young defender. He’ll face similar competition each night at the juniors, the biggest challenge of his career to date. If he still intends on getting drafted to the NHL, this is his best bet to be chosen late in June. Forwards: With no Hischier up front, the club will need to replenish some of their big-time goals that made them a surprise contender late in the tournament. Philipp Kurashev will be one of the biggest stars, with the potential first-rounder off to a great second year with the Quebec Ramparts. With 31 points in 33 games, Kurashev is a great playmaker that played more of a scoring role at April’s Under-18’s, while also providing six goals and nine points in 14 U20 games last season. In Slovakia this summer at the U20 Summer Challenge, Kurashev helped his team win the gold medal after scoring twice against the hosts, a big game for the Swiss scoring star. The competition will be tougher at the juniors, but with the season he’s having, Kurashev is Switzerland’s best bet to win games this season. One of Switzerland’s most promising forwards is HC Davos winger Nando Eggenberger. Missing the Spengler Cup to play at the World Juniors is always an interesting situation, but Eggenberger has performed well enough internationally for the Swiss to earn his place. His 17 points in 18 U18 games last year was impressive enough, and he’s already played 15 U20 games over the past few years. He’s typically been one of the younger players on any of the teams he’s played at and if he does indeed become a second rounder in the NHL, he could be a star at next year’s tournament, too. Nicolas Müller is a guy that not many people are talking about, but the MODO U20 forward has been rather impressive in his first full season with the Swedish club. He was easily one of the Swiss’ best players at the 2016 Hlinka Memorial and he played particularly well at the Under-18’s last year. He’s been a major contributor at every international level he’s played at and there’s a lot of reason to believe he can be a valuable player in Buffalo. Kamloops Blazers forward Justin Sigrist has been a healthy scratch on various occasions in the WHL this year, so this can be the tournament that finally turns his season around. Justin’s twin, Shannon, is a member of the Swiss women’s national team, so there will be enough friendly competition to outdo each other in each of their major international competitions over the next few months. Justin has been good in four U20 games with the Swiss this year, but he’ll look to really pull his game together on NHL sized ice after a great World Junior A Challenge tournament last year. The Swiss will also expect a lot out of Marco Miranda and Valentin Nussbaumer. For Miranda, the team could make him a top line winger thanks to his deceptive speed, but his inconsistencies could hurt. And for Nussbaumer, the 2019 draft prospect will have to find his form after an injury if he wants to become a potent player down the middle. To wrap it up, there will be a few eyes following the progress of 2018 draft prospect Gilian Kohler. Kohler hasn’t produced that much offense in his first season in the WHL, but he recorded an incredible 42 assists and 50 points in 43 games as a 16-year-old in the Swiss U20 league last year. The same attention will be applied to Stéphane Patry, who hasn’t been great in the OHL with the Erie Otters, but when you’re chances are limited, that’s the nature of the beast. Again, this is a great chance for the youngster to prove his worth. 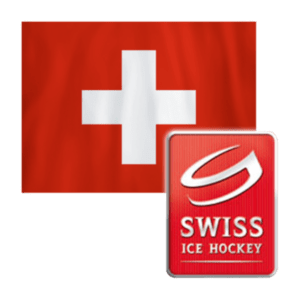 Projection: The Swiss don’t have many offensive tools to work with, and the defense core will require to work by committee to offset a lack of experience. Overall, this isn’t a Swiss team to get excited for, and if a loss to the Danes in pre-tournament action is any indication, there’s a lot to be desired with the team that doesn’t excel in any category. Can Russia help China crack ice hockey? 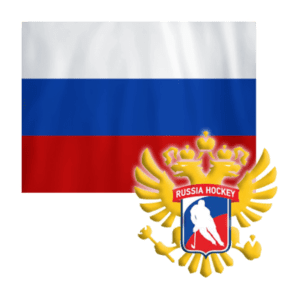 December 22, 2017 / NationalTeamsOfIceHockey / Comments Off on Can Russia help China crack ice hockey? The deafening sound of AC/DC’s “Hells Bells” blared from speakers as fans made their way to their seats for the opening home game of the new season. Jumbo-trons flashed with adverts and action replays as players from both teams — a mix of Scandinavian, Slavic and North American names stenciled on their jerseys — skated lazily round the ice below, practicing slap shots and passes. It could have been match day in Moscow, Malmo or Montreal, but this was Shanghai in September, and although the fans inside the Sanlin Sports Center were wearing mittens and scarves, outside it was a glittering tropical night at the end of the monsoon season. A closer inspection of the players’ jerseys showed a number of anglicized Chinese or Cantonese names such as Yuen, Yip and Jaw — rare in ice hockey, an overwhelmingly white, northern-climate sport. As the game got under way between Beijing Kunlun Red Star, China’s first world-class professional hockey team, and Jokerit of Helsinki, it was clear that many of the spectators hadn’t watched the sport much before. Occasionally they seemed unsure of when to cheer, though they were clearly exhilarated by the fast-paced action that followed the face-offs as punches were thrown, bodies slammed into the boards and pucks zinged bullet-like across the rink — even though Red Star ended up losing 4-1. Until very recently, a world-class hockey team was not something China desperately needed. But that changed two years ago when Beijing won its bid to host the 2022 Winter Olympics, and suddenly had to come to grips with a serious deficiency in the games’ marquee sport. By tradition, the host nation can field a team in every sport; in this case taking on ice-hockey superpowers such as Russia, the US, Sweden, Finland and current Olympic champions Canada. Team China, currently ranked 37th in the world, one below Mexico, has a huge challenge to make up the gap. Perhaps worse than losing matches is the prospect of losing face, if the ­Beijing 2022 Games leads to a revolt by the world’s elite players, who have taken time out from their regular season to represent their countries at the Olympics. “The idea of going to play in a time zone 13 or 14 hours ahead, with a home team that everyone will beat by 10-15 goals, is not something that is going to sit well with the best players and owners in the NHL,” says Mark Simon, a former consultant for Red Star. China is not the first non-hockey-playing nation that has had to improve its national team in the face of near-certain Olympic humiliation. South Korea, which hosts the 2018 Winter Games in January, granted citizenship to five Canadian hockey pros, none of whom had any South Korean ancestry. Most only had to learn the national anthem. But handing out passports to Russians, Canadians and Finns is not something that will fly in China, politically or legally. Under the nationalities law, citizenship is almost impossible to obtain except for those with Chinese ancestry. Then there is the political reality of modern China’s chest-thumping nationalism, which is rising as the country throws off what it sees as 150 years of humiliation at the hands of the west. China’s desperation presented an opportunity that Russia, eager to build ties with China in the wake of US sanctions, was quick to seize. In June 2016, as part of a raft of other agreements, President Vladimir Putin traveled to Beijing and hammered out a deal with China’s President Xi Jinping to set up an ice-hockey team. Kunlun Red Star would be the germ of an Olympic program, attracting world-class hockey players and developing Chinese talent. For good measure, the team would play in Russia’s Kontinental Hockey League (KHL), set up by Putin in 2008 and chaired by his good friend Gennady Timchenko, an oil and gas magnate worth $15bn, according to Forbes. Last year, coaches, players and staff from the KHL were rushed to Beijing to lend a hand, while Timchenko — who is under US Treasury Department sanctions imposed following Russia’s annexation of Crimea in 2014 — personally took a stake in the club. Just as the exchange of table-tennis players presaged US President Richard Nixon’s 1972 arrival in Beijing, ultimately detaching China from the Soviet bloc, so Putin’s hockey diplomacy takes place as geopolitical tectonic plates are shifting in the other direction. Building relations with China has become a strategic priority for Russia at a time of international isolation in the wake of war in Ukraine. And Russia, likewise, is a convenient hedge for China, which is butting up against US hegemony in Asia. The Russia-China hockey experiment has been given top priority by the leaders of both countries. The club is not short of talent or funds: “We are very well taken care of [financially],” says Red Star forward Brandon Yip. Citic and Vanke, two blue-chip Chinese conglomerates, sponsor the team, a sure sign of official favour. But for the experiment to really work, it will have to attract a Chinese audience — and Chinese fans are thought by experts to dislike contact and violence in sports, both of which hockey serves up in large doses. There are also no mainland Chinese stars to bring the game to China the way the Shanghai-born Yao Ming did when he became an NBA basketball sensation in the US. Zhao is the Chinese face of a team that is not, for now, very Chinese. Avuncular and jolly, with fluent English, he has represented the Chinese government in a number of multilateral finance roles. “I’ve been in training,” he jokes, pointing to a hockey stick in his office, though he admits he was chosen more for his international business diplomacy skills than for his knowledge of the game. He says politics is not the only aspect of the Red Star project — “nor the most important one”. He believes that hockey will be a great business in China, piggybacking on the global rise of the Chinese middle class. For a sport that has a million registered hockey players worldwide, the Chinese market certainly represents a sizeable opportunity. Currently there are slightly more than 1,000 amateur adult players, mainly in China’s north-east. But in China, sport must also respond to political priorities — and ice hockey is a ­priority now. The government has laid plans for 500 new skating rinks by 2022, and many Chinese cities have responded to the Winter Olympics win by making winter sports mandatory in elementary and middle schools. In Beijing, minor league hockey started out in 2008 with four teams and 60 players; today, there are 130 clubs and 3,000 kids playing. Ice-hockey ­tickets have been part of numerous school promotions. The only problem, says Mark Simon, is that Chinese parents may see things a little differently. Hockey, a middle-class sport in the west, has become something of an elite status symbol in China, an expensive — and imported — luxury commodity. Partly due to aggressive marketing by rink companies, most parents, he says, insist on one-on-one lessons because they assume that it’s better to have the coach’s full attention. So much for teamwork. Not only that, says Simon, but kids in China “peak when they are eight”; by 12, they are studying full time and have given up hockey. “We need to keep kids and parents interested.” Until that changes, he adds, the chances of seeing a lot of mainland Chinese ice-hockey players at the Olympics are not going to improve. Bringing hockey to China was never going to be easy. Just how difficult has become abundantly clear during the brief history of Kunlun Red Star. Despite an impressive first year under its Russian coach Vladimir Yurzinov Jr, in which the team reached the KHL play-off stages, it nonetheless failed in one crucial metric: Chinese players were not getting enough ice time. KHL teams have to have five “home-grown” players on their rosters, but at Red Star, only one — Zach Yuen, a Canadian-born defenceman with Chinese parents — was really holding his own on the ice, with three goals and eight assists for the 2016-2017 season. With Yurzinov reliant on proven players from Russia and Finland for results, the rest rarely even got dressed for games. Yurzinov defended his strategy, explaining that the principle of having Chinese names on jerseys had to be subordinated to the overall performance. But Red Star’s owners wanted it both ways. Yurzinov retired suddenly in March, replaced by “Iron” Mike Keenan, an NHL hockey legend, who won over the Chinese by betting that he could make a winning KHL team by developing naturalized Chinese-American and Chinese-Canadian players. Vancouver and Toronto, hotbeds of Canadian ice hockey, became the focus of his recruitment drive and hosted development camps in the summer for Chinese-Canadian players. By the time of September’s game against Jokerit in Shanghai, the results of his efforts were evident. Six of the Red Star squad that night were part-Chinese by way of Canada or the US, some as far back as third generation (which would speed their path to citizenship). “They said, ‘Hey, we need some Chinese players and you fit both categories. You play pro hockey somewhere, and you have Chinese ancestry.’ And that was the main discussion,” recalls Cory Kane, who hails from Irvine, California, of the selection interviews that saw him join up. Finding the players was not that hard, as it turns out. As Brayden Jaw, another of Red Star’s Canadian contingent, puts it, “There are so few Chinese players [in professional hockey] that we know each other.” But the “ABC” — American-Born ­Chinese — players have faced skepticism in their putative homeland. Just how Chinese are they really? Two days before the Jokerit game, China got a chance to find out when the team flew into Shanghai to meet the fans. Many of the new players were in the country they represented on ice for the first time. A welcome ceremony organized by the team included speeches from local officials and a bouncy cheerleader routine. Finally, the evening’s emcee bellowed, “Let’s meet our Chinese players!” and the six shuffled on to a stage to be playfully interrogated. “Can you say ‘Hello’ in Chinese?” the emcee said playfully to Brandon Yip, a three-quarters Chinese, one-quarter Irish forward from Canada, who had moved from Dusseldorf to play for Red Star. “Um, hello,” Yip replied in English, before trying a “Ni Hao” to applause and laughter. Next up was Kane, who was playing in Trinec in the Czech Republic before he got the call to come to play for the motherland — or rather his Chinese mother’s motherland — last summer. Zeroing in on Kane’s ­Chinese name, Jianan, the announcer saw another chance to test the players’ erudition. “Your Chinese name reminds me of the literary style of Cao Cao,” he said, referring to a 2nd-century poet-warlord. “Alright, yeah!” replied an amused and clearly baffled Kane. Only Zach Yuen spoke Mandarin. In June 2016, as Kunlun Red Star was being formed, Yuen had been found playing minor league ice hockey for US team Idaho Steelheads. He jumped at the chance to come to China, where he has become the Chinese face of the team; he has been interviewed by Chinese GQ and even inspired a Zach Yuen action figure. “I’m very happy to play hockey in China, it’s a chance to make friends and get closer to my culture,” Yuen told his fans in fluent Mandarin. As the event demonstrated, the team is clearly divided between the players picked with the Olympics in mind, and the rest (“I didn’t like being singled out so much. We’re a team in the end,” says Jaw). But the Chinese players will have to think very hard about how Chinese they feel. The law forbids dual nationality: anyone taking Chinese nationality will have to give up their existing one. The only athlete to have done this is Alex Hua Tian, a London-born equestrian, who took Chinese citizenship to ride in the Beijing 2008 Summer Olympics. For some of the Red Star players, however, it seems that Chinese ­officialdom might be set to make some exceptions in its efforts to avoid an Olympic hockey meltdown. In the meantime, Red Star’s plan to rely on naturalized Chinese players has run into trouble. While the team started the season well — they were at the top of the KHL’s eastern conference after the first dozen games — in November, they hit a losing streak. Keenan tried to have Zach Yuen cut from the team and sent to a lower-league team. But Yuen, who is popular with the Chinese fans, refused to go. Members of the team said Keenan’s confrontational personal style had become a problem. “He was always known as Iron Mike. Nothing new there, I guess,” said one team official. Then this month, as the club kept on losing, Keenan was sacked as coach. “As time went by it became more and more obvious that it was too much for Mike,” said Oleg Vinokurov, the team’s spokesman, “In the end, he just lost his grip on the team.” Keenan could not be reached for comment. Yuen says he is now in talks to return to the team after training on his own for two months. They need to get it right soon. At the Asian winter games in Sapporo earlier this year, Team China let in 32 goals in three games and failed to score a single goal against South Korea (10-0) Japan (14-0) and Kazakhstan (8-0) — hardly ice-hockey superpowers. Even the official Xinhua news agency, used to putting a positive spin on disaster, said: “This demonstrated the gap between China men’s hockey level with top level in Asia.” Building hockey in China, added Xinhua, was like “building bricks without straw”.